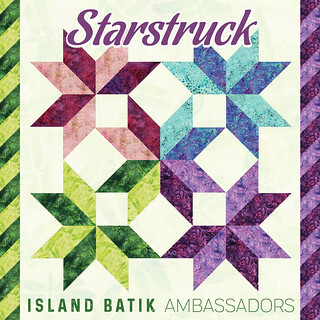 This month's Island Batik theme was Starstruck. We were tasked with creating anything featuring stars. I opted to use my Victoria and Albert 10" stack to create simple, large scale sawtooth stars. This fabric collection is a lovely floral collection with a great variety of values. I split my 20 fabrics into lights and darks and pieced ten large blocks. Nine of my blocks went into a lap size quilt top and the tenth block was quilted into a finished pillow. 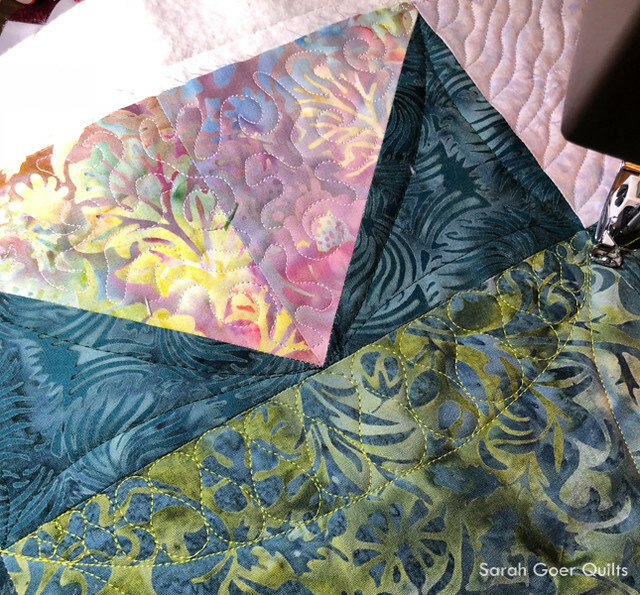 Here's a bit of a closeup showing the four motifs of quilting (in four different Aurifil 50wt colors) I chose for the pillow. 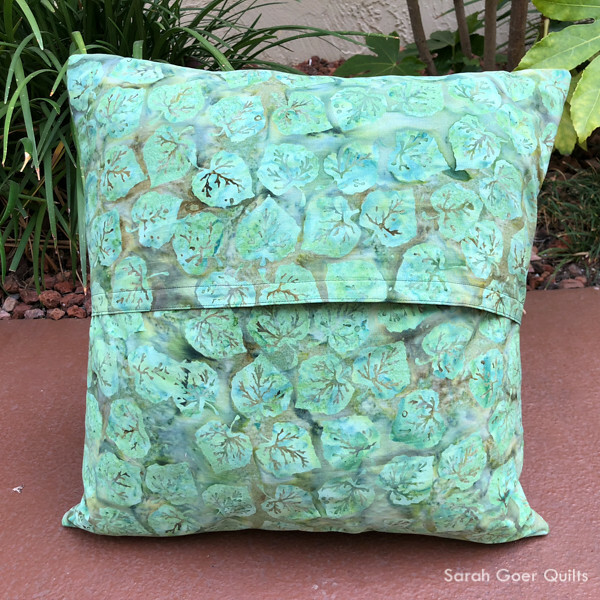 I used a bit of leftover fabric from a different collection for the back of my pillow. Posted in Quilting. 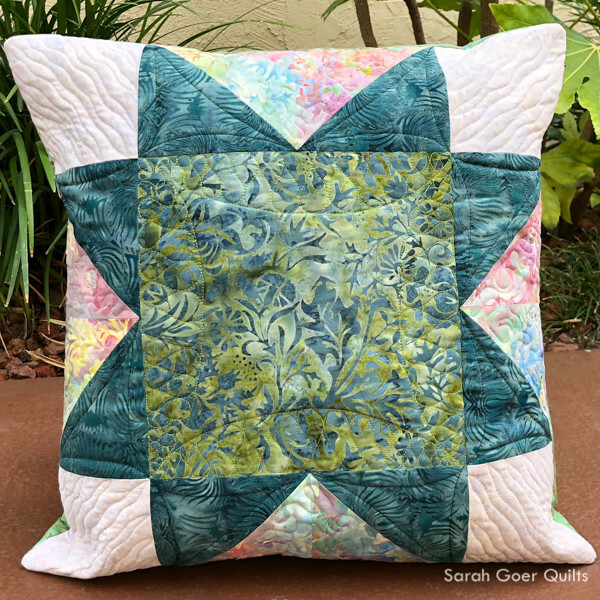 Tags: free motion quilting, Island Batik, Island Batik Ambassador, pillow, quilt top, stars on September 30, 2018 by sarah. 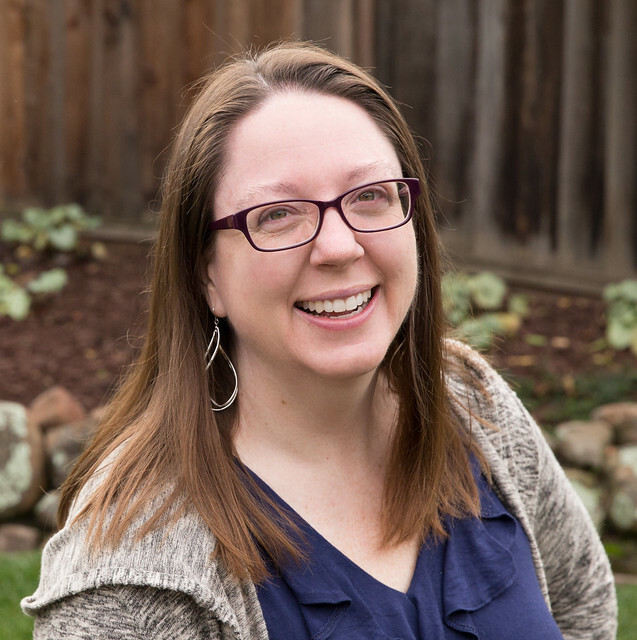 Thank you, Michelle. It is a lovely collection. Two projects! I love the pillow and the quilt. It is always worth it changing thread colors, I think the choices you made were perfect. Thank you, Kathleen. The four colors of thread really didn't look like they were going to be good together when I was holding the spools, but I am real happy with how they turned out on fabric. 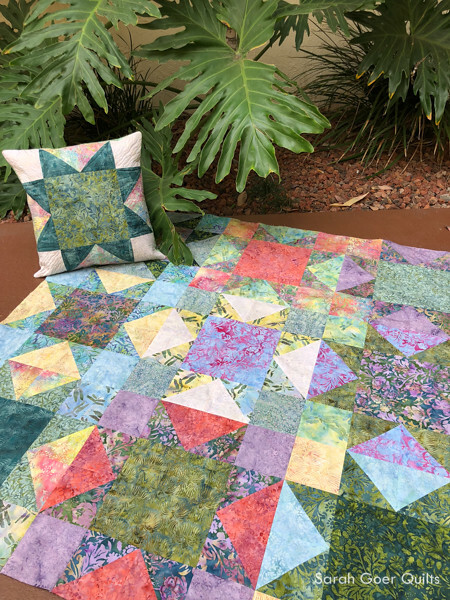 I like that you were able to create a quilt top and coordinating pillow. 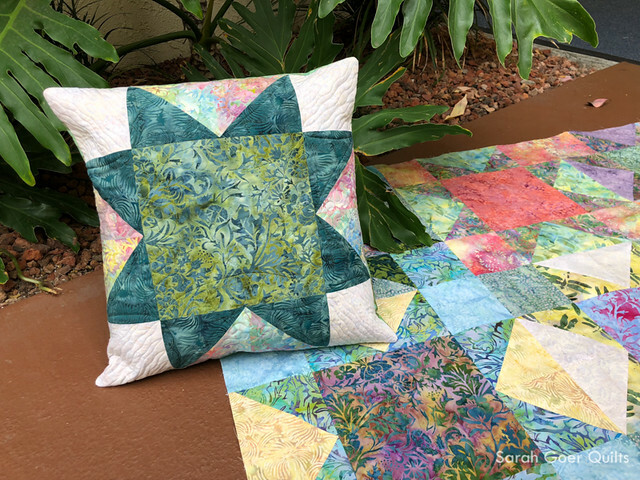 Do you have plans for the quilt and pillow?